Kneale Mann | Leadership: Name. Living. Difference. The process of giving someone a reason for doing something. There is an entire industry focused on it, thousands of websites catering to it, millions of conversions discussing it, conventions modelled toward it, but what is motivation? What gives us a reason for doing something that will move us to our desired goals? There are many motivating factors to life. Maslow called it the Hierarchy of Needs which include; food, water, shelter, intimacy, and safety. He also wrote about self-actualization which is more intangible. We use words like potential and passion when describing how we can be our best. Here’s something you may want to try. Find a moment today to write down three words; name, living, and difference. Think of them as steps in your life. Write down all the things you want to do, to become more recognized in your field. It’s not about fame – few make that a priority – it’s about appreciation. I haven’t met anyone who claims they want to be known as the worst at what they do, so write it all down – even if it feels uncomfortable. If you want to be the best investment advisor in your firm, write it down. If your goal is to serve the best burgers in town, write it down. If you wish to create a charity, write it down. If it's something that has been nagging you to try for years, write it down! This goes beyond paying the bills. That's a paycheck. Few avoid getting stuck by money (or current lack of it) on their way to a living but we’re dreaming for a bit so go for it. Don’t let your current situation slow you down. When this draws to an end, I doubt either of us will be tallying up the possessions we had in our life. We will be focused on the experiences and perhaps the chances we didn't take. Write down all the things you do and want to do that will make a difference in others’ lives. These don’t have to be grand gestures – in fact, the small ones are often the most powerful. You don’t have to raise millions for disease research or build the new wing on the hospital. 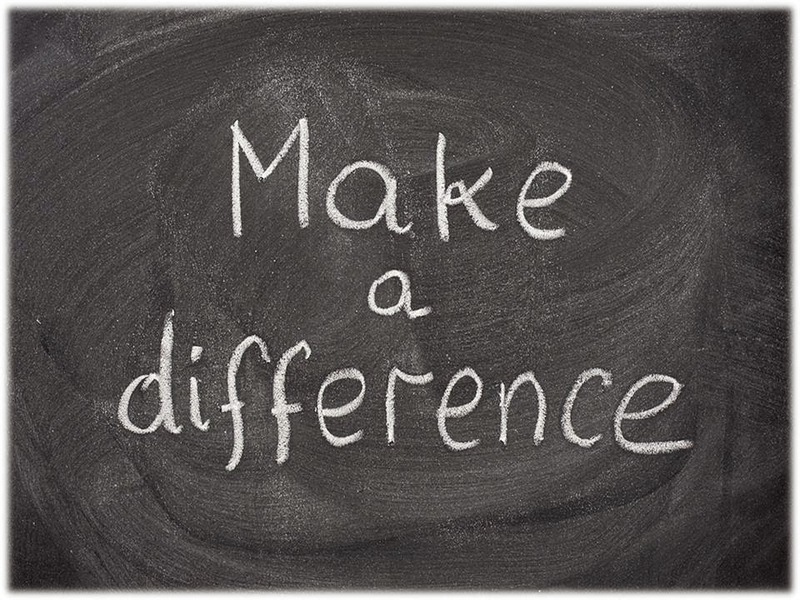 How do you want to make a difference in someone’s life? How do you want to give back and help others? The challenge remains for us to take the actions in order to make a name, make a living, and make a difference. I don't know many who focus on the name part, but there's no reason we can't make a living while making a difference. Let’s take our three steps right now.